The EU Sport Forum 2012 was held in Nicosia (Cyprus) on 19 – 20 September 2012 and gathered around 250 delegates and experts from the Sport sector in Europe representing international and European Olympic Committees, European federations, European organisations, social partners and trade unions. EOSE was represented by President Stephen Studd and Executive Director Aurelien Favre. The European Commission presented during the first day the recent EU level developments made in the field of sport with a focus on the proposal for a new EU Programme for Education, Training, Youth and Sport for the period 2014-2020. This introduction was followed by parallel workshops presenting the outcomes of the 2010 Preparatory Action projects in the field of sport (fight against doping, promoting social inclusion in and through sport, and promoting volunteering in sport). The second day of the event started with a panel debate on developing principles of good governance in sport followed by a second one focusing on European social dialogue in the field of sport. The second debate saw the official launch of a Sectoral Social Dialogue Committee for sport and active leisure for its test phase. 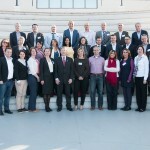 This marks an important step towards full recognition and builds on the successful informal dialogue work undertaken by the European Association of Sport Employers (EASE) and UNI-Europa Sport. The first plenary session of the ESSDC will be organised on 11-12 December 2012 in Brussels (BE). In addition, a joint session with EU Sports Ministers co-organised with the Cypriot Presidency was arranged to exchange on issues such as the contribution of sport and health-enhancing physical activity on to Europe’s economy and the fight against match fixing. The discussion took the form of high level panel debates moderated by EOSE Ambassador Nicos Kartakoullis from the University of Nicosia. Commissioner Vassiliou took part in both high level panel debates. An Expert Seminar on a possible EU initiative in the field of HEPA (Health Enhancing Physical Activity) was also organised in the margins of the EU Sport Forum and EOSE was invited to attend the event. 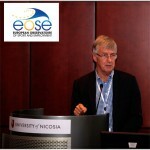 EOSE was represented by by President Stephen Studd and Executive Director Aurelien Favre.